Rana Gorgani is one of the greatest ambassador of that tradition, which dates back the 13th century, with the great poet Rûmi’s. 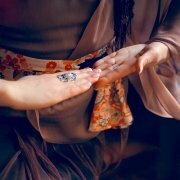 She revisits the whirling dervishes’ dance. An intensive work to practice the art of whirling. 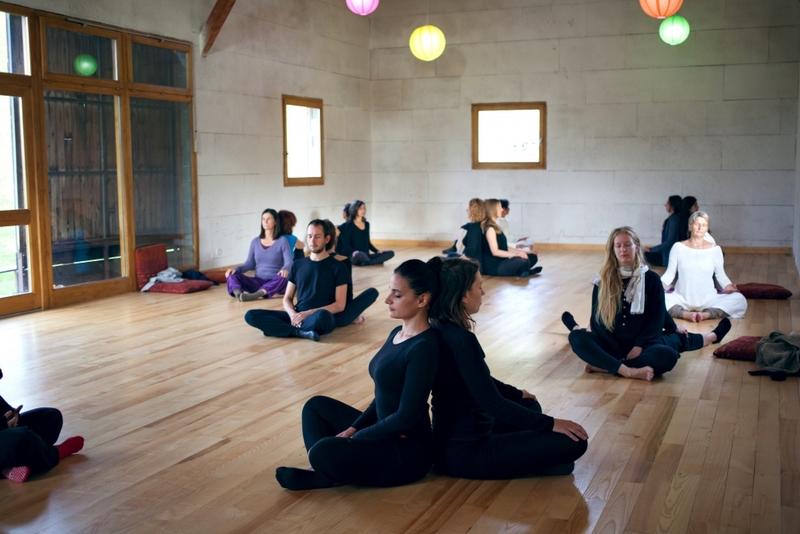 The goal is to find a balance between the control of the corporal axis and letting go. 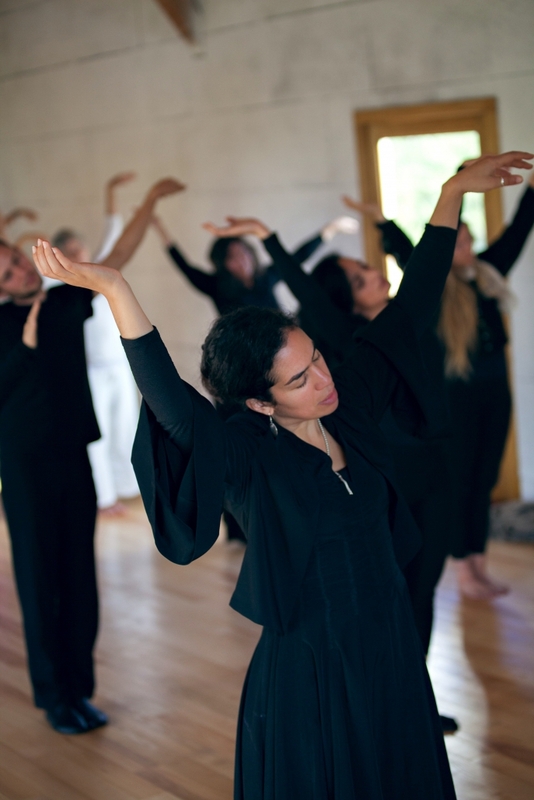 The choreographic and symbolic aspect of the Sufi gesture will be broached for a better understanding of the dance through the Sufi spirituality. 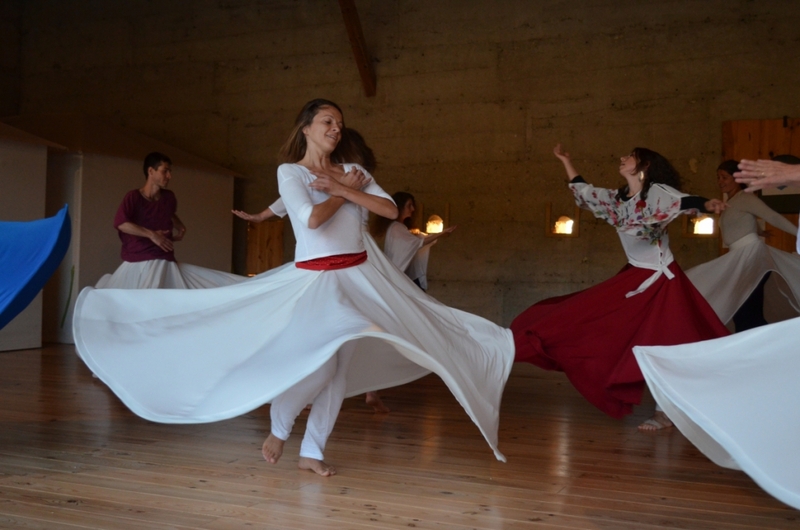 With Rana Gorgani’s guidance, the dancers will be able to freely experiment the Samâ, the whirling dervishes’ dance. The workshop is mixed and open to both professionals and amateurs. There is no age limit and no dance level is required. Elastic and comfortable outfits: pants, top with short or long sleeves (yoga style). It is not necessary to have a skirt. Pair of socks specifically dedicated to the workshop. It is possible to acquire whirling dervishes’ shoes or Sufi skirts sold by Rana Gorgani. Samâ means spiritual hearing or mystic listening. Therefore, Sufi dance will be broached through the sound reception and a corporal work based on the sensations. 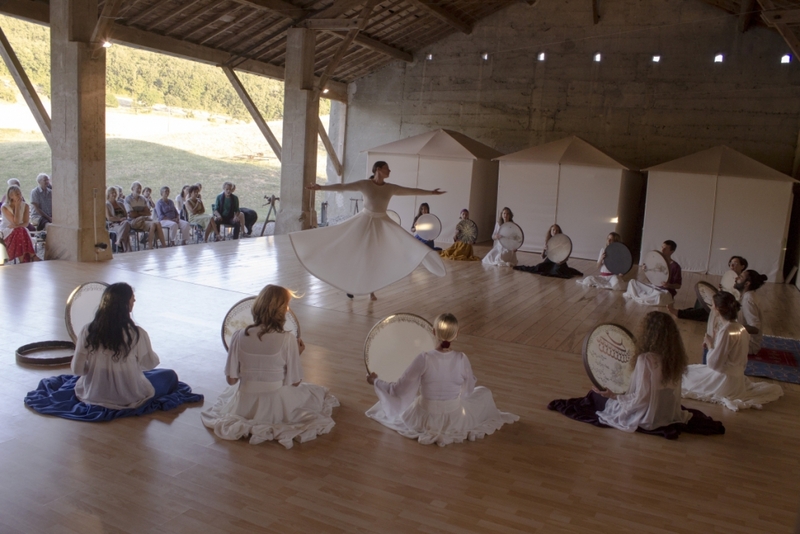 Dancers will get to explore this ecstatic feeling that guides the whirling dervish to the repetitive move of the spiral. 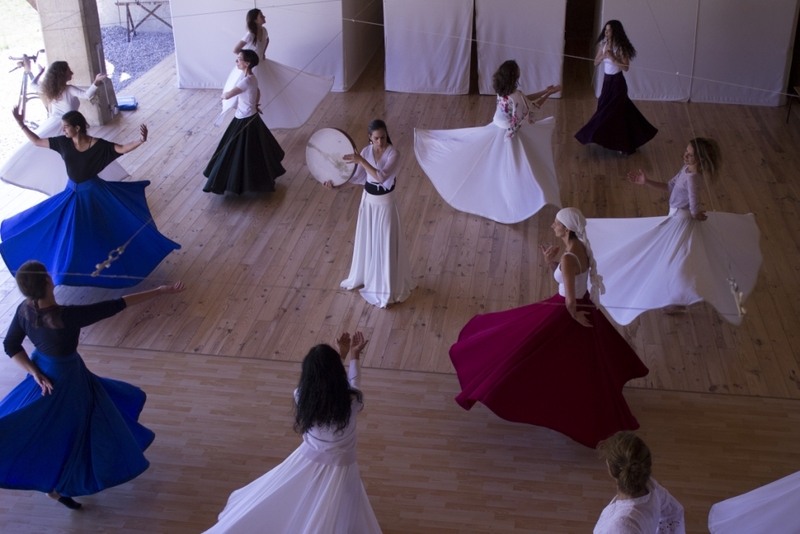 The basic steps of the whirling technique will carefully be taught to enable everyone to experiment the Sufi whirling.